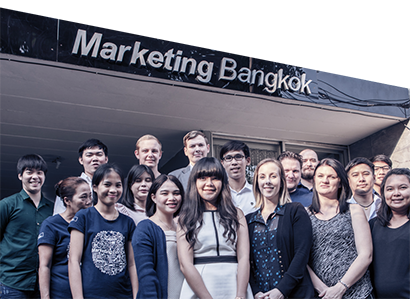 ​Marketing Bangkok is a leading authority in online marketing and search engine optimization (SEO) in Bangkok, Thailand. Since 2009 we have been providing professional services & effective online marketing campaigns to both local and international companies, helping them to grow and build their online presence and sales. With an in-house team of online marketers, graphic designers, and programmers, combined with many years of experience, we’re able to cover a wide scope of services. Our clients benefit from this by having their Search Engine Optimization, Online Advertising and Social Media campaigns all run in cohesion with one another for maximum effectiveness. By also providing website design and development services we’re able to take our clients from the start to finish. With our strong credentials and history of business changing campaigns, contact us today to see how we can benefit your business.